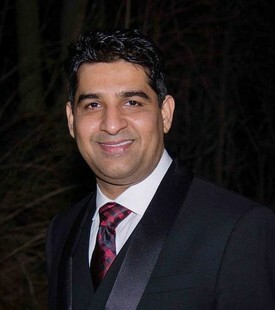 Dr. Ashwani K Sharma graduated from The University of Tennessee Health Science Center College of Dentistry at Memphis with a Doctorate of Dental Surgery. At graduation from dental school, he received The Outstanding Undergraduate Achievement in the study of Prosthodontics, American Association of Oral and Maxofacial Surgery Implant Award, The Dean’s Honorary Odontological Society Award, The Academy for General Dentistry Award, The Outstanding Leadership and Service Award and the Dean’s Certificate of Achievement Award. During his training at the University of Tennessee, Dr. Sharma's exemplary scholarship was recognized by the Certificate of Honor and inclusion in the Dean’s Honorary Society. Prior to Dental School, Dr. Sharma completed his BDS from Manipal Academy of higher education from India. Dr. Sharma is a member of the American Dental Association. Dr. Sharma spends countless hours on continuing education focusing on medical emergencies in the dental office, TMJ disorders, dental implants, cosmetic dentistry, oral medicine diagnosis, pathology, occlusion and tooth whitening. Dr.Sharma likes to spend his free time with his family and friends. He has a passion for outdoor adventure and visiting new places.He enjoys scuba diving, watching movies and sports.